Contributions to ESR allow our scientists to conduct outreach, and research activities that are not supported by our government grants for targeted basic research. 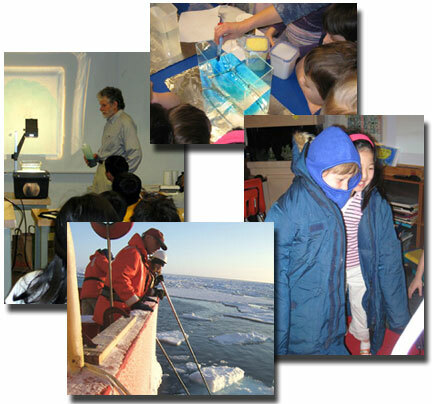 Our current outreach efforts include promoting public awareness of the excitement and relevance of ocean and climate research through seminars and other interactions with school and public groups. More information about these activities can be seen on our Outreach & Education pages. Contributions may also be used to advance scientific understanding by allowing our scientists to explore topics which traditionally are difficult to fund through federal agencies. Such innovative projects include interdisciplinary studies and high-risk exploratory research with a potentially high payoff. We encourage unrestricted gifts that can be used where they are most needed. However, donors who prefer their gifts to be associated with a specific activity can contact our Outreach Coordinator. Please join us as we explore the oceans and bring that new knowledge to future generations. View ESR’s Listing in the GuideStar database and register for free access to information on 1.5 million nonprofits including Earth & Space Research. Earth & Space Research is a non-profit scientific organization, whose purpose is to perform and otherwise advance scientific research for public dissemination and benefit, with tax-exempt status under Section 501(c)(3) of the United States Internal Revenue Code. Your contribution is tax deductible as allowed by law. Contributions are classified as unrestricted income unless otherwise specified. Donor contact information is required by the IRS in relation to contributions, and that information is maintained at Earth & Space Research with the highest level of privacy for internal purposes only. Earth & Space Research does not publish, sell, trade or share donor contact or personal information.